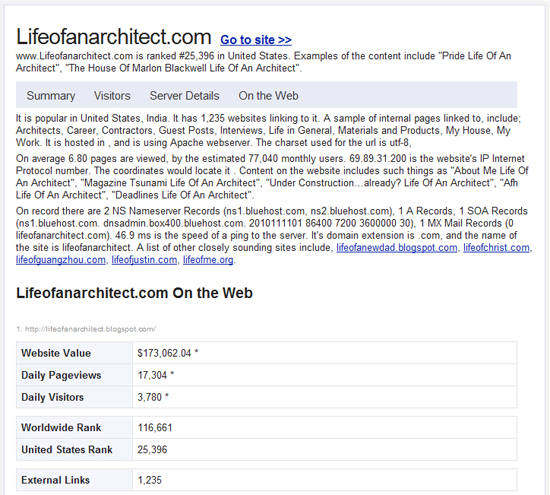 The other day I found out that according to the “experts”, my website www.lifeofanarchitect.com is valued at $173,062 and I thought to myself that can’t possibly be correct. The content on this site could surely be had with some loose change and 3 ketchup packets. Right? After conducting the exhaustive research and profound critical analysis that this site has become known for, I discovered that “content” was not a consideration in determining the value (obviously). No, it has everything to do with traffic volume, page views, etc. – empirical things that don’t judge you if your preferred writing style is “run-on sentence” and “I made all of this up”. The facts don’t even care about the facts as long as someone is coming to the site. Wow … that looks super real and full of technical beep bops; it must be true. 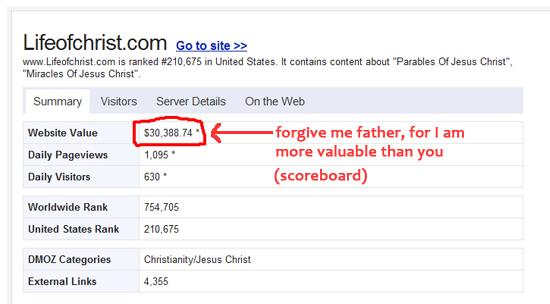 My website is worth (swallowing hard) … gulp … $173,000. The truth of the matter is that I had no idea what I was going to get out of this blog but I was doing it for me – my own personal reasons. And after making that video I realized that I have been thinking about this entire website in a very non-architect type of way. Since there always seems to be some sort of self-imposed deadline here, I tend to think of this site as a series of events that occur along a linear pathway. While that is technically accurate, this site has become more about the entirety of the experience. The amount of really amazing things that have happened to me since I started are mind-boggling (even for my mind if you can believe that). I am honored to know that what I have been doing is so well received, and despite Pride being the #1 deadly sin, I am extremely proud of what I do here. I owe everything to you – the reader, the commenter, the retweeter, the emailer (well, not so much the emailer) and the fellow traveler. I realize that I could never sell my website … for less than $250,000. And since we all know that isn’t going to happen, I suppose I’ll see you back here tomorrow. Cheers, and thanks again. I do hope you watch the video – I’d really like to know what you think.